Sarah A. 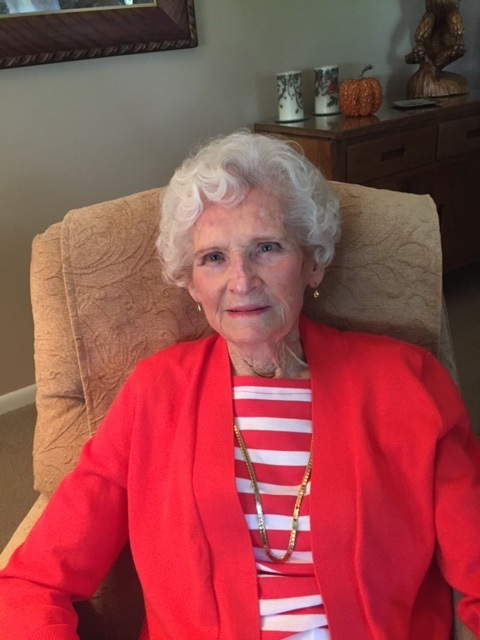 “Sally” Dudgeon, 88, of Rockford, Ohio, died Wednesday, January 16, 2019, in Royal Oak, Michigan. She was born on October 3, 1930, in Kokomo, Indiana, the daughter of Clyde E. and Mary Ruth (Miller) Shockley. On September 10, 1950, she married Clois E. Dudgeon, who preceded her in death on June 30, 2010. Upon her marriage to Clois, Sally moved from Muncie, Indiana, to Rockford, where she and Clois raised three children: Edward (Nicky) Dudgeon of Okemos, Michigan; Camille Dudgeon Green of Fort Wayne, Indiana; and Dawn (Jeffrey) DuComb of Bigham Farms, Michigan. The children and spouses survive along with 7 grandchildren and 5 great-grandchildren. Deceased in addition to Clois are 1 brother and 1 sister. Sally was a member of the Rockford United Methodist Church and its Women’s Fellowship. She was a member of the Eastern Star and a member of the Rockford Red Hat Society. She enjoyed the family trips to their cabin in Michigan with the children and grandchildren, and especially enjoyed the fishing trips with Clois and their many friends to Alaska and Canada.